“Because you’re worth it.” That’s why Chani Ettelson works so hard and is so committed to meeting your real estate needs. 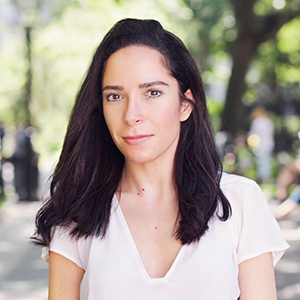 Whether you are looking to buy, sell or rent in Brooklyn or Manhattan, Chani has the designer vision and market expertise to help steer you toward the best results. Chani started in real estate in 2007, and between then and now had an exciting stint in the design business for a few years. She was involved in accessories design and manufacturing, as well as interior design for office and residential spaces. Her passion for real estate rental and sale brokerage came full circle, and her role as a Compass agent is greatly enhanced by her keen eye and design background. Born in New Zealand and raised in Miami, FL, Chani has lived in Brooklyn, New York for over 14 years. She now resides in Miami as well, and works bi-coastal, as many of her clients have interest in both Miami and NYC. She owns her home and happily shares it with her husband and children. Chani enjoys traveling to different countries, recharging with friends and family, and supporting/volunteering for various charitable causes.